Earlier today New York City FC announced the appointment of Domènec Torrent as Head Coach replacing the outgoing Patrick Vieira. This hire came in just a few short hours after the team confirmed month long rumors that Patrick Vieira was leaving to join OGC Nice. Torrent was head coach of Girona FC in Spain’s third division in 2005-2006. He joined Pep Guardiola and Barcelona B in 2007 where he has won 24 trophies through stints at Barcelona, Bayern Munich and Manchester City. 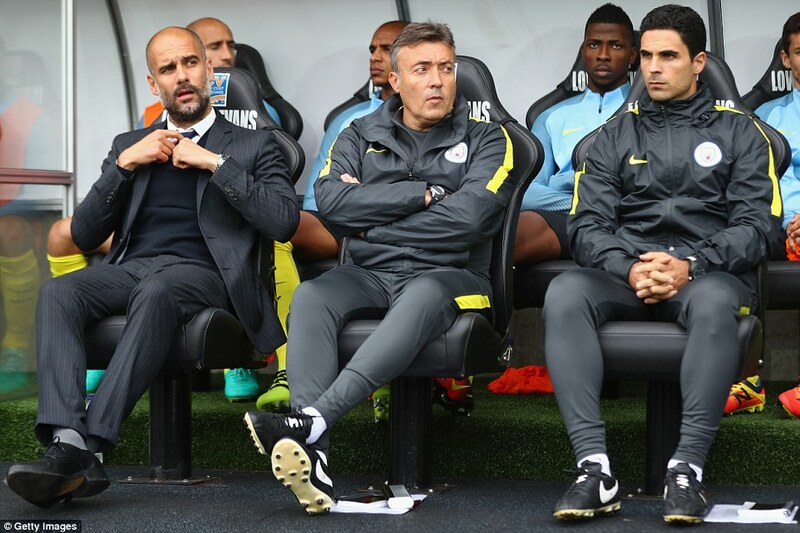 Though I have enjoyed a wonderful 11 years working alongside my colleague and close friend Pep Guardiola – it has always been my ambition to manage a team again and I really couldn’t have hoped for a better opportunity than at this football club. The coaching staff in Manchester follow our games closely and I know how familiar Domènec is with our team and will appreciate both the quality of our team and the competitiveness of MLS. I’m pleased that we have been able to move so quickly to replace Patrick. A smooth transition was certainly a priority…I know Domènec can’t wait to get started. Torrent has signed with NYCFC until the end of the 2020 season pending the approval of a US work permit. After filling the void for Head Coach, NYCFC and Torrent’s next important steps would be finding suitable replacements for the additional staff that left with Vieira. That staff includes Assistant Coach, Christian Lattanzio, Performance Coach, Kristian Wilson, and Physical Performance Coach, Matt Cook. Through 15 games, New York City FC sits in second place in the Eastern Conference coming off a 1-1 tie against first place Atlanta United FC. At 8-3-4 (6-0-1 home record) NYCFC is currently on a break giving Torrent some time to acclimate to the team, to New York City and recruit his staff. Torrent’s first regular season match will be against Toronto FC on June 24th at Yankee Stadium. It’ll be interesting to see if a friendly is scheduled before this regular season match to have a better transition into Torrent’s coaching style with his new team. Stay tuned to our podcast and follow us on twitter for more updates on this story as it progresses and all NYCFC news.